This post was not sponsored by Osborne and Little or the Flemings Mayfair Hotel. No sooner do I send off my last post, Color Consults, and this comes in. Rich, intense color. 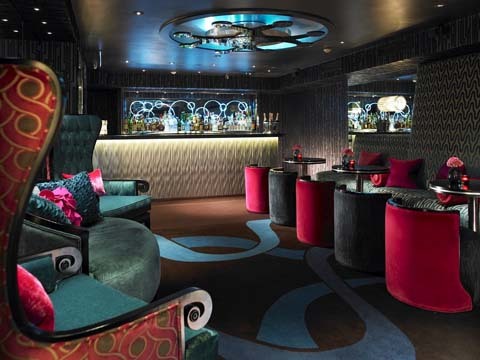 Jewel tones in The Cocktail Bar at the Flemings Mayfair Hotel. 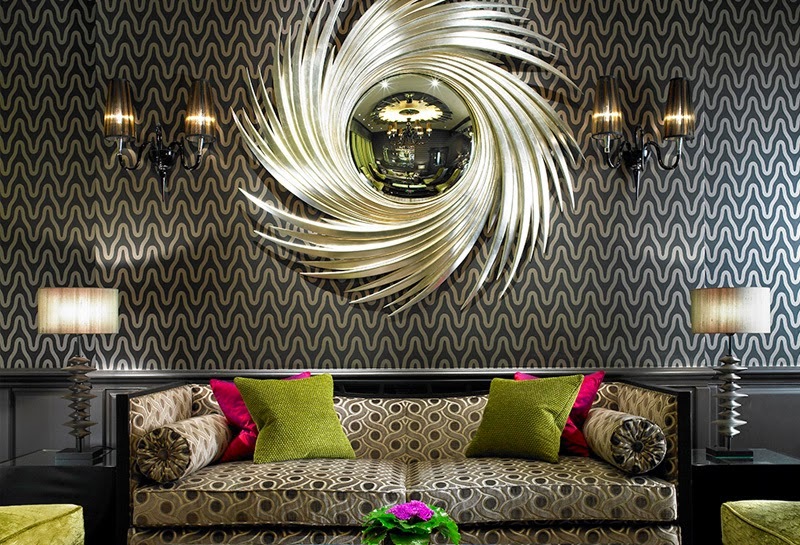 HospitalityDesign's article on the newly renovated Flemings Mayfair Hotel in London. A velvety, art deco jewel box gilded with a few sharp angles, lots of curves and a a smattering of florals. If anyone is travelling to, through, or from London and has a moment to spare, duck in and let us know if the pictures do it justice! The Front Room, Osborne and Little velvets on the sofa. 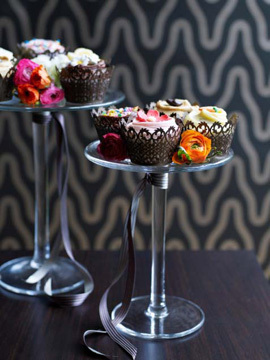 Champagne and Cupcake Tea are served in the Front Room. 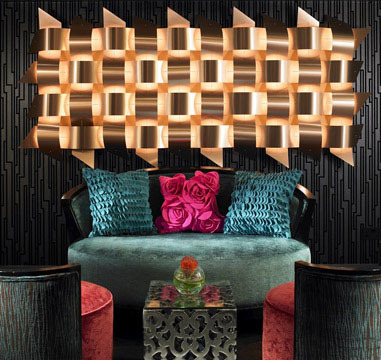 For the restoration of Flemings Mayfair, London-based designer Grant White "wanted to re-capture and then re-invent the golden age of Mayfair." "New Flemings is a celebration of style: the English have always had a flair for understated elegance and extracting service, for glamour which purrs rather than shrieks, and that is what we set out to create an elegant luxurious cocoon," he says. 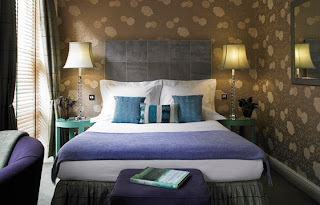 Flemings Mayfair Hotel has retained all the comfort and old world charm for which it is renowned, but the more expected chintzy floral designs, often associated with English Georgian interiors, have been playfully replaced with over-sized classic furniture shapes spiked with striking contemporary colors. Totally reminds me of an acid trip. Looks just like the hotels in Las Vegas in "Fear and Loathing in Las Vegas" with Johnny Depp. Not that that is a bad thing- I love that movie, and I love psychadelics. So there. It gets my stamp of approval. Oh my goodness I would get a headache in this hotel. Lol I love cupcakes and champagne. The room really has a fun lounge feel and the guest room while I'm not a fan of the wall paper everything else is beautiful. Love the rooms and they are very dynamic yet modern.